4/5 Teachers are good and take care of kids. The feedback and reviews are also timely. Staff is caring and my kid seems to enjoy staying in school. 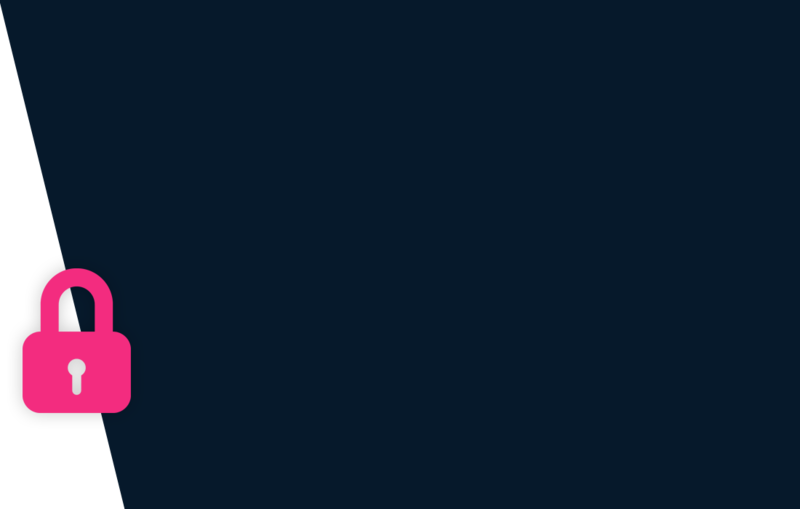 This school first reviewed on 12 Aug 2017 at SchoolWiser. The overall experience with Our Montessori House (OMH, Sector 48) based on the ratings left by users so far seems to be excellent but the sample size of the ratings is insignificant. This school seems to perform exceptionally well at Academic Rigour parameter. It also performs well on Food, Parental Involvement & Safety and Hygiene. Though parents may seem to have some reservation over Instructor’s Competence. Checkout detailed ratings and reviews below for reference but do exercise your best judgement. Children are like saplings, when provided with the correct amount of water, sun shine and rich soil they grow up strong and upright. The Montessori system of education is both a philosophy of child development and a rationale for guiding the child’s growth. It is based on the child’s developmental needs for a freedom within limits, as well as, a carefully prepared environment which guarantees exposure to materials and experiences. Our Montessori House (OMH) has made a conscious effort to incorporate the Montessori Method that nurtures the spirit of exploration. It offers a wide range of experiences and discoveries, channelizing children’s minds into creative, intelligent and responsive thought processes. Apart from refining their skills in Practical Life, Sensorial, Language, Mathematics and Cultural activities- the children at Our Montessori House are actively involved in Nature Walks, Creative Art & Craft, Music & Movement, Audio-Visual, Outdoor play, Celebrating all festivals and Special days and so on. OMH strongly believes and follows the Montessori principle that- Each child is unique and learns at his/her own pace and our aim should be to provide them a rich, stimulating and a prepared environment. Happy and loving teachers at OMH ensure that the children are given the right amount of knowledge at the right time. Initial years in a child’s life are the years with an absorbent mind and we at OMH gurgaon sincerely make an effort to utilize them completely. 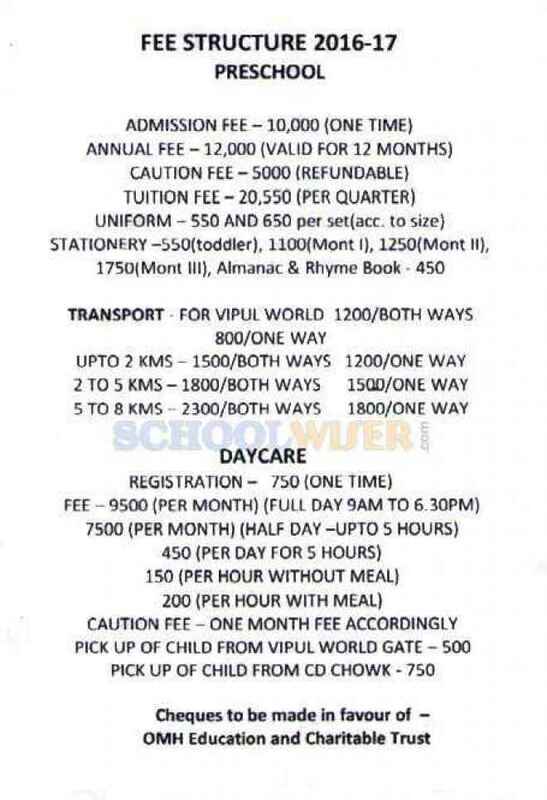 A detailed fee structure & complete breakup for Our Montessori House (OMH, Sector 48) is provided below for reference. The objective of the fees details below is to provide an economic reference point for parents to understand approximate expense for this preschool and evaluate affordability based on their current circumstances and for the long term. For parents admitting their children in admission session 2016-2017 at The school the total preschool fees for the first year including all admission related charges for KG but excluding transport fees shall be around Rs.1,09,200. This includes total One-Time Admission related Charges including Refundable Security of Rs.15,000. For parents continuing in the school from previous years, the effective annual fees is around Rs.94,200 i.e. approx. Rs.7,850 per month or Rs.23,550 per quarter without transport fees.